The title and duties of a "ghostwriter" have often, very fittingly, been shrouded in mystery. In previous times, the role of a ghostwriter was mostly reserved for writing books, speeches, biographies, and similar material. 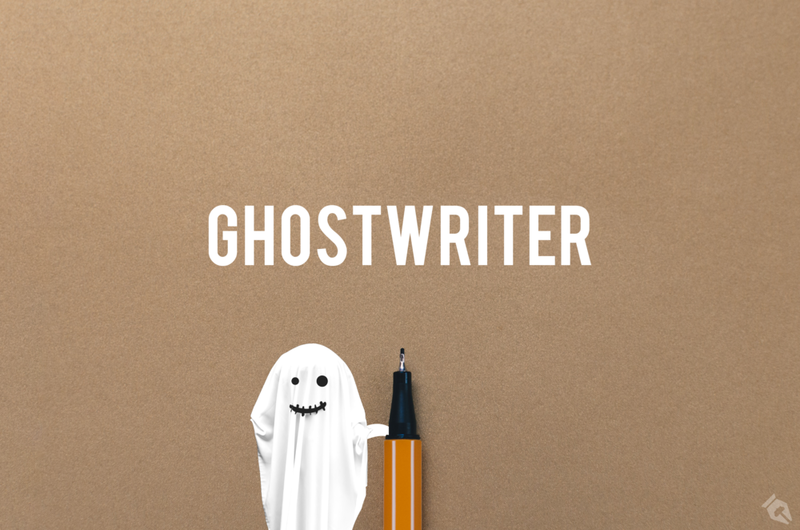 While these services are certainly still alive and well in the industry, because of the unprecedented demand for content in today's marketplace, the roles of ghostwriters have changed, along with their potential value. If you are looking to take your business or personal brand to the next level, a ghostwriter may be the missing piece you've been looking for. Here are the main reasons why, plus how to go about hiring the right one. 1. To develop a strong personal brand. As a business owner, creating a stellar personal brand can provide your company with many benefits, from increasing brand awareness to building trust potential customers have in your company. Beyond that, your personal brand is also the only asset you possess that you know will be around as long as you're breathing, so investing into it is never a bad idea. The problem is, the only way to build a strong personal brand is by creating loads of great content, and between thought-provoking LinkedIn posts, witty Tweets, and well-structured YouTube videos, going about doing it can be both time-consuming and exhausting. This is where a ghostwriter can come in. Whether you choose to hire one to spearhead your email newsletter, write viral Medium articles, or something else entirely, a well-skilled ghostwriter can take on your persona and use it to help grow an online audience without you spending time doing it yourself. 2. Because not everyone can write well. While there are plenty of entrepreneurs out there perfectly capable of writing amazing content, there are even more out there who cannot. Similar to the ability to solve math problems or run a five-minute mile, writing well is a skill many people simply don't possess. This is why, in addition to the time you'll save by hiring a ghostwriter, you'll also be gaining access to someone who's skilled at the craft of writing to do the work for you. 3. They're less expensive than an agency. Because of the overhead expenses involved with running an agency, even the most expensive ghostwriters on the market usually won't cost more than an agency. Additionally, given ghostwriters are typically self-employed or doing gigs as a side hustle, if you shop around long enough, you'll likely find quality talent at a price point that fits your budget. Serial entrepreneur and fellow Inc.com columnist Neil Patel has stated that ProBlogger is where all the best writers hang out online. This is why he uses it to fill any and all of his writing jobs. Between all of the freelancing platforms, it seems like Upwork has taken the crown and established itself as the industry leader, especially since its recent IPO. Despite the quality of work occasionally being unpredictable, the features available on Upwork, such as previous jobs reviews and work history, can help employers more easily vet the skilled ghostwriters from the duds. While it's true the best ghostwriters will likely be the busiest, there's a fine balance when it comes to being fully booked and overloaded. This is why it's important to make sure the ghostwriter has enough bandwidth to take on your project before putting all your chips in. If a writer is currently juggling writing three books, seven articles, and daily social posts, you may want to partner with one who can dedicate more of their focus to you. There's nothing wrong with using a simple Google search to find top ghostwriters in your area. You can also search by job title via LinkedIn ("ghostwriter" or "freelance writer," for instance) or browse through publishing platforms like Medium to see which writers catch your eye. If you like what they've got, shoot them an email to set up a phone call. Remember, ghostwriters aren't mind readers. Just because they're great at taking ideas and putting them on the page, without clearly defined goals, it'll always be a crapshoot as to whether or not their finished product will match what you envisioned. When hiring a ghostwriter, I always recommend making a "Dos and Don'ts" document that outlines what the writer can and cannot say, along with your preferred tone, verbiage, and more to minimize overall risk. Across today's marketplace, ghostwriters can be a bigger asset and provide clients with more of a competitive advantage than they ever have before. If you're looking to step up your personal branding game, then hiring a ghostwriter could be one of the best decisions you make this year.